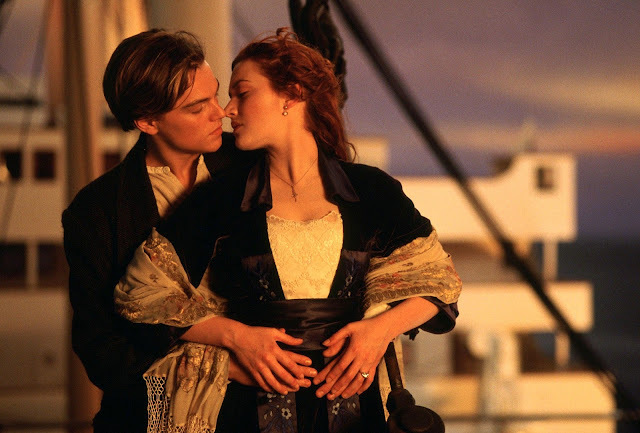 Has anyone seen Titanic in 3D yet? 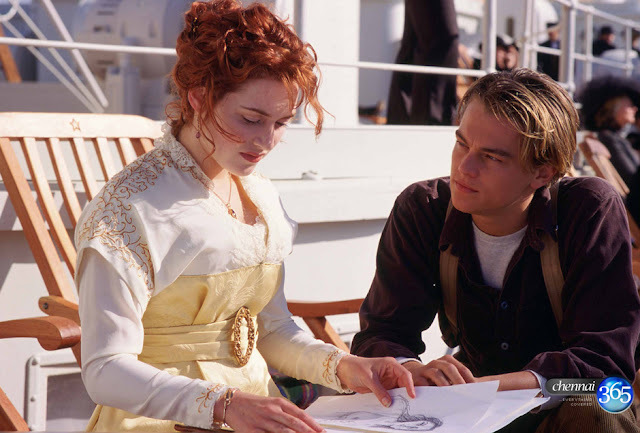 My sister and I have always loved it so we set out Tuesday night to revisit the magical story of Jack and Rose, oh yeah and that ship that sunk. I have to admit that having seen the movie already a zillion times before coupled with the fact that the movie is pretty long, I thought I might get a tad bored at some bits, but I can honestly say that did not happen once! There were so many scenes I appreciated more on the big screen and emotions seemed to be intensified. 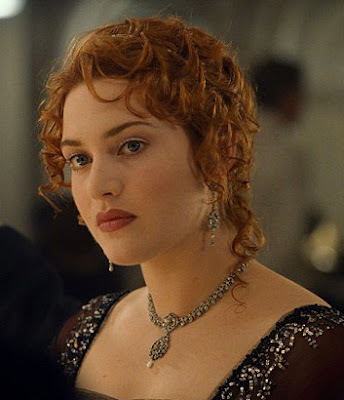 I realised how young both Leo and Kate were in the movie and how breathtakingly gorgeous Kate was (still is!). I love how every character is just so perfectly cast. I also discovered some new lines that I had never noticed before which were super amusing. Watching the movie for the umpteenth time allowed me to truly appreciate the dialogue. There were also a number of other thoughts that floated in my head while I watched. 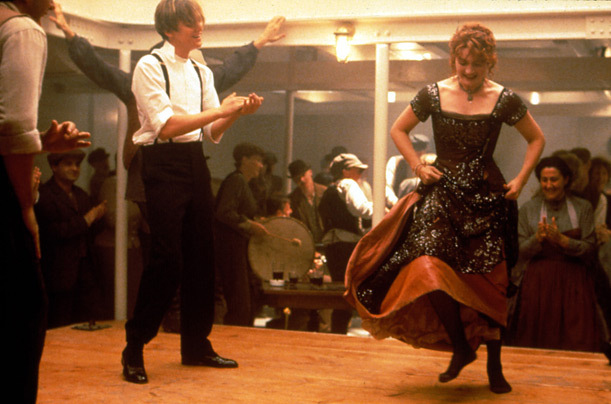 For one thing, I imagined living life completely carefree and untied to material possessions like Jack. I simply couldn’t imagine parting ways with all my beautiful things and living with no plans or any idea of where my future was heading. It is a romantic notion though. Never knowing where the next day might take you. While I don’t believe I could ever live my life in such a fashion it did get me super excited about my fast approaching 3-month Europe trip with my two best gal pals. Anticipating the experiences that are on the horizon and new people we’ll meet is rather thrilling. Meeting strangers and having unforgettable experiences just seems to be a given while travelling. But back to the movie. Boy, things just seemed so glamorous back then. Can you envisage getting that dressed up every evening for dinner? 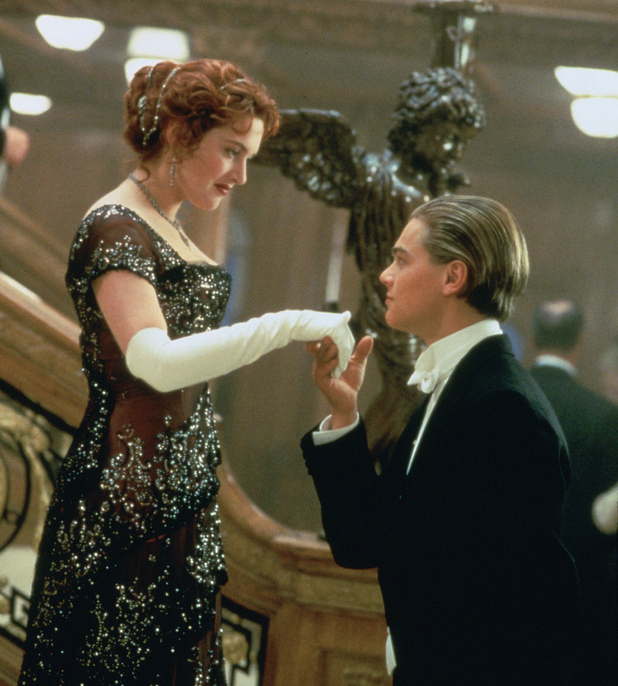 It does seem like fun, but I imagine you would tire of the whole facade, much like Rose. My mum has a friend in her 80s named Halina who had a really fortunate upbringing and lead a rather glamorous lifestyle travelling and mingling within high society akin to the high class assembly on the Titanic. 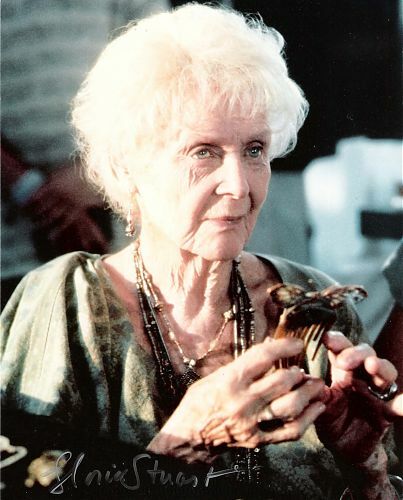 The movie made me think of her, because much like Rose in her aged state, you wouldn’t guess her enchanting past by looking at her now. It made me realise how we tend to dismiss “old” people as tame and arid when in truth they are likely the ones harbouring the most extraordinary and sensational of stories. I hope when I’m that age I’ll have some remarkable stories to tell. I find older people infinitely fascinating and love listening to their stories. They don’t necessarily even have to be “old”, just older. My boss who is also now a close friend is about 50 and I never tire of hearing about her experiences. I think older generations can offer great perspective and advice. Sure, we’re all going to go through our own unique experiences and learn our own lessons along the way, but it certainly helps to have people around us with life experience that we can seek out when needed. Should you be interested, I’ve included a link below to an article I penned a couple years ago in my uni days which features Halina. Further below is a short profile piece I wrote on her, also for uni. 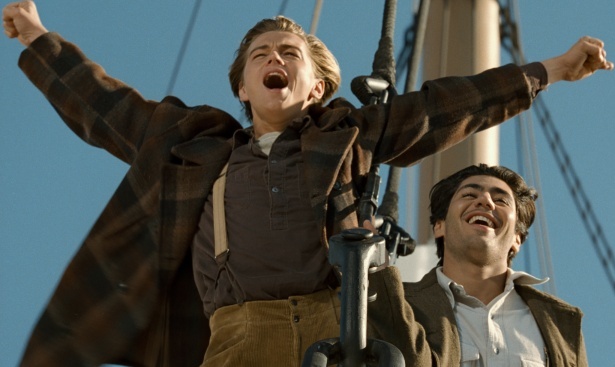 Anyway if you haven'y relived Titanic yet, I encourage you to do so. Love triangles, family aristocracy, exotic locations, experiences in war, dining and partying with the elite and very rich, starting all over again in a strange land; you could be forgiven for thinking the woman whose life involved and revolved around such common subplots was the heroine of your standard novel seized from the Family Saga library isle. 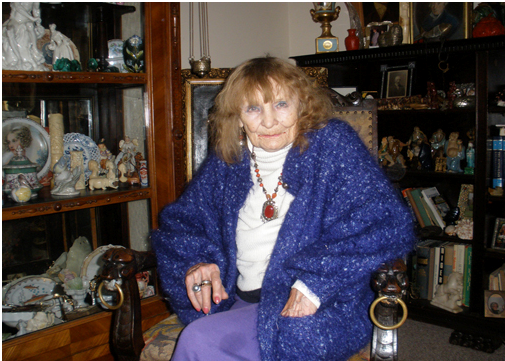 But the story behind 84 year old Polish born Halina Tomaszewski, which could rival the most drama infused Danielle Steel Saga, is far from fiction. Born to Kazimiera and Boleslaw Varnia Zarzecki on August 4th 1925 in Warsaw, Halina entered an exclusive society of power and affluence during a time in Poland when having money to splash was very rare. Her childhood, while privileged and settled in a seemingly glamorous milieu, was largely spent in isolation. Being an only child with a busy, important father and a cold and apathetic mother, young Halina spent much of her time alone exploring the gardens, climbing trees and reading in the attic. Despite her father’s distance from the family home with a demanding position in the Polish Army, he and Halina enjoyed a close relationship. When he had time to spend with his daughter, they ventured outdoors on her father’s yacht and went swimming. This was an uncommon ability for a girl of her time to perform she informs me with a soft quaking voice, yielding to intermittent short breathes of air conditioned from a lifetime of cigarettes. Although her mother paid her little notice and lavished more attention on her beautiful and expensive garments and herself, Halina received female care and affection through the special bond she shared with her warm grandmother. She visited her on occasion at her large country property situated several hours from her family’s residence. Halina recounted with a joyful demeanour the clothes her grandmother lovingly crafted for her in spite of her tomboyish tendencies. A state she shortly grew out off as she burst into womanhood. “We wore feathers, shimmy dresses, gloves, bracelets to dances and parties,” she exclaimed brightly of the period in which she embraced her femininity. After the war the free spirited and adventurous young woman spent much of her time in the company of gypsies where she developed a predilection for “lots of bright colours and flowing fabrics”. A partiality I can still detect both from the visual feast that surrounds me - the cluttering of trinkets, sculptures, figures, works of art and other artefacts and relics accrued from extensive travel - as well as in the more personal details of her dress. For instance, the antique bohemian jewellery consisting of numerous elaborate silver and turquoise rings that adorn her fingers and the decorative oversized metal necklace that overwhelms her miniature 5-foot frame. With each animated and theatrical gasp she performs amid wide insistent eyes, before revealing another dramatic point from one of her life experiences my affection for this eccentric character grows. I hope when I reach my former years I retain just as much colour and creativity as the kind soul before me. 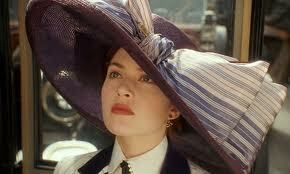 I'm watching a documentary about the Titanic now- fascinating! You should! Not even just to witness the 3D aspect of it but to rediscover the movie with fresh eyes. It's definately a classic.